Florida State Restoration Services is a highly respected family owned and operated general contracting company that has served South Florida residential and commercial properly owners for over 15 years. Our umbrella services include Water and Fire Restoration, Property Inspections, Roofing and Concierge Luxury Property Management. 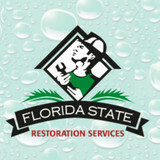 Our flagship division, Florida State Restoration Services branched out into other specialties as we found industries lacking in the expertise and professionalism we require of ourselves and our customers expect. The technicians and General Contractors in our teams are all highly trained and licensed in their respective specialties. Our guiding principles are; a job well done, safety and exceptional customer service. Cat 1 Water Restoration’s owner J.W. Cooper has more than 25 years’ experience in the Pompano Beach FL metro area with all types of water damage restoration. The Cat 1 Restoration staff is also certified and experienced, which means they are able to properly assess your specific problem, plan a course of action and begin the restoration process. Prompt response and immediate service means that your water damage is taken care of, and all work is backed by the industry’s most comprehensive guarantee. 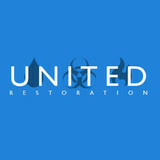 Water Damage Restoration Company Miami provides fire and water damage restoration services for all areas of in Miami-Dade County to include South Miami, Miami Beach, Sunny Isles, Miami Shores, Kendall, Coral gables, Doral, Hialeah, West Miami, Homestead, Pine Crest, Palmetto Bay, Cutler Bay, Miami Springs, Aventura, Golden Beach, North Miami, North Miami Beach, and more. Call us today! (305) 417-6257 We are available 24 hours a day. Our Services include all commercial and residential. • All Major forms of payment accepted. We will work with your insurance company for your payment. 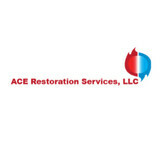 When it comes to our commitment, hundreds of customers have relied on Ace Restoration Services to deliver only the very best in crisis management services in Miami, Fort Lauderdal, and throughout Florida. Offering knowledgeable Crisis Management team, specialized top of the line equipment, and more. Ace is ready to handle all of your damage recovery needs with quick response time and dependable service. South Florida-Based PuroClean Provides Customized Remediation Services for Multi-Cultural Clients. We are a family-operated business that has been in Miami Dade and Broward Counties in Florida since 2003. Our owner, Hugo A. Urribarri, is a proud Venezuelan attorney, who is completely dedicated to the property damage remediation business in South Florida. We serve both Miami Dade and Broward Counties, providing 24/7 fire, water, and mold property damage mitigation and remediation services for those customers who have been affected by an accident in their valuable homes. Emergency Express Restoration Inc is your 24/7 local expert when disaster strikes providing quality restoration services for both residential and commercial locations throughout Miami, Broward and Palm Beach Counties. Our restoration experts provide multiple services to assist you in the aftermath of flood, fire, mold and many other emergencies. We have the skill and equipment to fix any situation quickly and efficiently to make your home or business like new again. Also we work directly for home and business owners and not for an insurance company so you can trust we will do the job right the first time. Your emergency is our emergency and we strive to achieve 100% customer satisfaction with every job no matter the size. All calls at Emergency Express Restoration Inc are handled by a restoration expert who will answer all of your questions and dispatch a team of certified technicians to take care of your water damage or mold remediation emergency. Give us a call today at (954) 651-2998 or toll free at 1-866-931-1856. Professional Restoration is your full-service restoration company. We are reliable, trust-worthy and your friend when you have suffered water, fire, or mold damages to your home or business because we treat your emergency as our own. We have years of experience in the field with footprints in the tri-state area and our most recent expansion to the state of Florida. 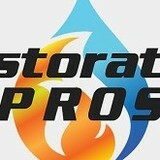 Professional Restoration prides itself on providing the best service in a time of need. Our owners understand how traumatic these experiences can be for a family. As such, they are committed to directly working with our crew, continuing education for staff, and ensure quality control. With years in the industry, we have partnered with New Jersey Apartment Association, The Indoor Air Quality Association, The National Air Duct Cleaning Association, Community Associations Institute, New Jersey Young Insurance Professionals, and the Condo Co-op Association etc. With ties to the community, Professional Restoration prides itself in giving back. Both owners coach their children’s sports teams as well as we donate to scholarships funds, as The Special Olympics, and Autism Speaks to only name a few. In essence, our entire staff is a group of down to earth, accessible people that are available when you need them most because we treat your home like our own! Anchor Water Damage Restoration offers comprehensive damage repair solutions to customers in the Greater Miami area. We have fully licensed and insured professionals available to assist you, and we go the extra mile in order to do thorough work. Our goal will be to ensure that your home is structurally sound and safe for you to live in. When you request our assistance, our technicians will do a complete evaluation of the damaged areas of your property, and we'll discuss your options. We'll work with your insurance directly. We have free estimates available and offer a hassle-free claims process. Whatever the scope of the project, we aim to finish in a speedy manner. The professionals at Anchor Water Damage Restoration in Cutler Bay, FL, are ready to provide you with the damage repairs you need for your home and business. Our staff is available 24 hours a day, seven days a week. Call us today to set up an appointment. Laser Restoration is a multi-dimentional business. What that means is that we can help you with any type of emergency service that you would need for your home. We accept most insurance companies. We expertly manage the entire damage repair process. We estimate the cost of the required repairs using preferred insurance estimating software. Our professionals quickly protect your property from further damage. We then provide the comprehensive report to your insurance company. No need to worry we work with all insurance companies. Flood & Fire Restoration specializes in "First Response" to all types of flood & fire emergencies. Typically we are one of the first people onsite either during or shortly after these types of disasters occur. Our customers always come first and our goal is not only to mitigate all primary damage(s) but protect and preserve your property from any potential secondary damage(s). We do all this while making sure you get the personal attention you need and deserve.